In my own country, we are gradually approaching the hot season also known as the summer season and i believe many of us knows the kind of hot condition we found ourselves at this time which i believe many people might not look fresh if not for anything but for our health. Wash Your Hair: One of the best thing you need to do at this time and at this season is to wash your hair regularly because these season causes more oil to be around the face or on the skin and the best way to get rid of these is to wash body regularly. 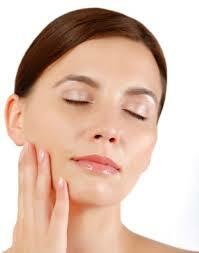 Avoiding or getting too lazy to this may result to pimples all over your face only with clean water and moisturizer. Wash Face: Just like the the way you wash your body frequently, anther thing you need to at this time and season to look fresh even at this hot season is to wash your face gently and regularly because these season causes more oil to be around the face and the best way to get rid of these is to wash the face regularly. This will make your skin look fresh even as we are into the summer/hot season. Washing your face regularly helps clear pimples and other skin rash that may be found on the face. Wash Underarms : To look fresh at this hot season, you need to try as much as possible to wash your underarms, armpit and make sure you take your time to shave these region regularly and wash, it will help prevent unwanted smell, sweat and keeps you clean. Feet : Another area we need to look into to make us clean at this season is to ensure the feet are clean. Cut nails, scrub your foot and keep them dry always. You can also visit the pedicure to help you clean the foot. The dry season or hot season as popularly called is a season that comes with dust and the leg will always get dirty. one of the ways you can still look fresh is to clean your foot, shoes, socks etc. These are natural ways to clean and look fresh this season without spending much. This season is hot and despite that, we can still look fresh in it and get admired by people around us but the primary reasons for this is to have a good health at this time. Thanks for reading.